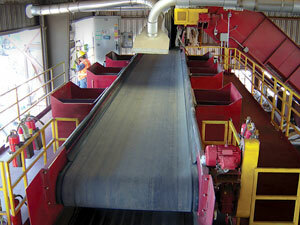 Heavy-duty Flat Belt Sliders offer many advantages for material recovery. Fewer moving parts reduce maintenance problems and downtime. Spillage is virtually eliminated. Profits can be increased as Hustler flat belt sliders operate at speeds exceeding 150 fpm. 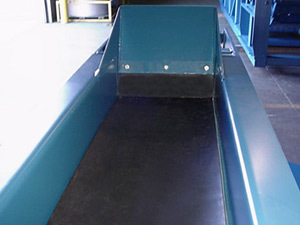 Plus, optional variable speed drives make the Hustler flat belt slider ideal for easier, safer, more efficient sorting. Available up to 96" wide, in virtually any length.